In the past decade, almost all industries have witnessed a wave of disruptions powered by Artificial Intelligence, hoping to increase efficiency and improve services. 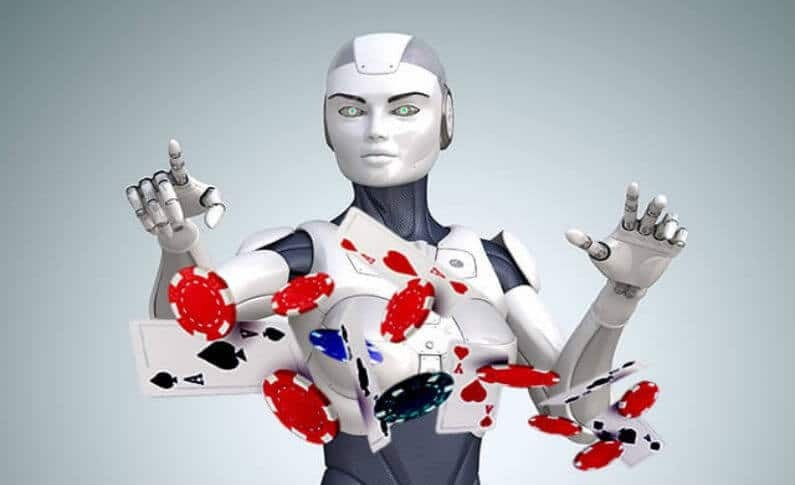 The Casino and Gambling industry is also investing in such intelligent technologies to keep up with the digitalized and increasingly smart world. This controversial billion dollar industry is trying to maximize profits by leveraging the reach of the Internet and the power of modern computing. So how do Casinos make use of these technologies? Casinos also make use of the emerging data trends to identify factors such as what elements of a game make it more popular than others or how the physical arrangement of games on the floor impacts player selection. “Gathering and sifting through all this data produces benefits for both casinos and players. Gambling operators use the data to deploy resources, retain players and maximize profits while players enjoy personally tailored gaming experiences and generous promotional offers”, writes Tony Bradley in Techspective. Online casinos can track the activity of all players based on their user accounts. This makes collection of data much easier. These valuable insights combined with AI allow for an even more heightened user experience. An online gambler will be satisfied, as the system knows his/her favorite games, and they’re accessible with a single click when logged in. What does the future hold in store? Armed with deep knowledge of the customer’s preferences and habits, AI-driven agents are also used in customer service as they provide more personalized information while delivering faster, customer-focused resolutions to issues. Ai can also be used to improve security, especially since this is an arena that is susceptible to cheating and fraud. A plethora of new technologies are available for this industry to take advantage of, especially since gambling business is quite focused on the bottom-line. The casino’s adoption of ai is still in its early stages, but the future looks bright. This blog was written by our Content Writing Intern – Rona Sara George. Click on the name to view her LinkedIn profile. This content is not for distribution. Any use of the content without intimation to its owner will be considered as violation.